IRMA is Turning the Tide Together – Please Join Us! 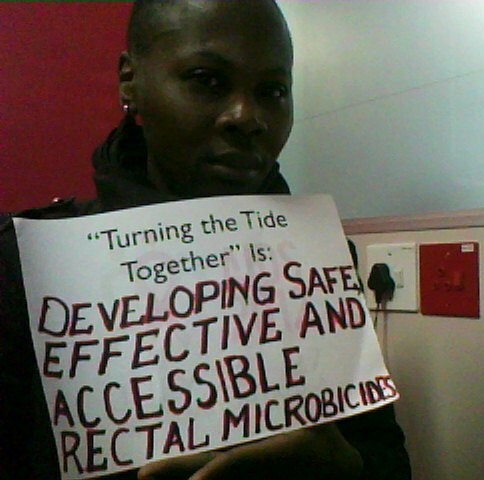 IRMA members are Turning the Tide Together at AIDS 2012 and beyond. Will you be like the IRMA members pictured above and join us? 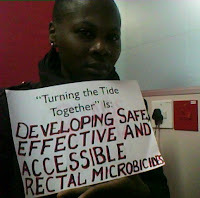 To get involved in this AIDS 2012 awareness campaign, and to share what “Turning The Tide Together” means to you, download the template here and submit your photos to: photosAIDS2012@gmail.com. Several other IRMA members have already participated. Check out their pics on Facebook here. If you participate in this, please send copies of your photos to IRMA at rectalmicro@gmail.com so we can share them on the IRMA Facebook page and on our blog as well. *Please look for us on Facebook: www.facebook.com/InternationalRectalMicrobicideAdvocates, and you can follow us on Twitter: @rectalmicro. *Also, please note that shared news items from other sources posted on this blog do not necessarily mean IRMA has taken any position on the article’s content.